A fresh row has broken out over bus driver pay. A fresh row has broken out between union bosses and First Aberdeen over driver pay, just months after a strike was halted at the 11th hour. A last minute deal prevented drivers walking out in April following an angry dispute over what staff claimed were “Draconian” changes to their terms and conditions. The latest dispute is related to holiday pay, with Unite claiming the operator is unfairly penalising drivers who work overtime. Under current legislation, workers are entitled to the average weekly pay of their past 12 weeks while on leave. However, the union has said that First is excluding voluntary overtime from its calculations and is only paying out on contracted hours. Union representatives have said further industrial action cannot be ruled out if the matter is not settled. Unite’s branch convener Graham Gavin said meetings will be held over the next three to four weeks with First’s operations director, David Phillips. He said: “I wouldn’t rule out another ballot if we can’t get things sorted out with the company. “But we’re going to afford them the chance to rectify things. “They’re not taking overtime into account, and we feel that they should be taking voluntary overtime into account. The union has also claimed drivers are angry about the fact they have to make their way to the King Street depot on their break, which means part of their break is eaten up by their journey to and from the base. For example, if a driver was to begin their break at a stop on Union Street they would have to make their own way back to the depot to pick up their next bus, once their unpaid break is over. Drivers first went on strike in the spring after claiming their revised contracts would leave them £5,000 out of pocket, with fewer holidays and longer shifts. The strikes, which were due to last 12 weeks, officially started on March 16 with drivers refusing to carry out overtime shifts. Over the course of the dispute there were 10 days of strike action. On the eve of another walkout, a revised deal was put on the table by First and 60% of members balloted voted in favour of accepting the latest offer from their employers. 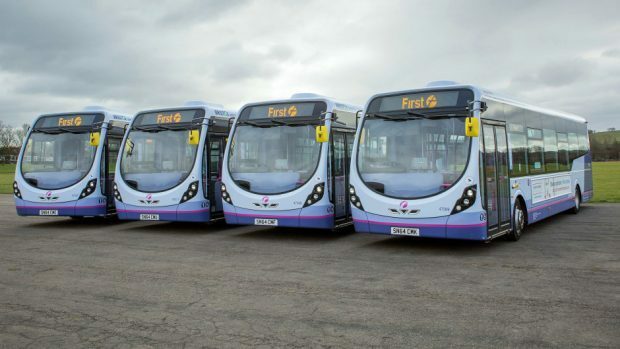 First Aberdeen said it was “surprised” to learn strike action had been mooted.